With its metallic luster dominated by blue, green and gold, labradorite is one of the most beloved stones in lithotherapy. Beyond its incredible beauty, it is a powerful crystal loaded with therapeutic properties. Let’s discover together this powerful treasure of energy. Labradorite was discovered in Canada in 1770, more precisely in Labrador, by Moravian researchers who named it for the region. Today, it is found all over the world, whether in Finland, Madagascar, the United States or France. The Scandinavian peoples and the Eskimos connect labradorite to the aurora borealis, to which the gems have borrowed their magnificent iridescence. For the Inuit, the aurora would have been held captive on rocks in Labrador. 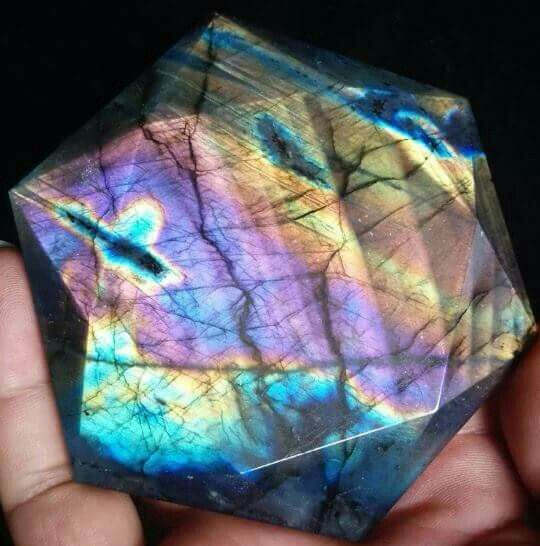 Labradorite helps maintain an emotional balance. It helps to overcome stress, anxiety and encourages inspiration and intuition. Labradorite is intimately linked to the chakras of the hands, it allows to activate them in depth. Healers use it to allow better energy circulation. To activate the chakras of your hands, simply place a labradorite in each hand and focus on the energy that emanates from you. You will then feel a transfer of energy, followed by a boost of energy. Often, when we are in contact with an energetically unbalanced person, this person will tend to unconsciously draw on our energy to offset his lack of energy. If you’ve ever felt exhausted after a conversation, you’ll appreciate the properties of labradorite. Acting as a powerful shield that absorbs and dissolves negative energies, it will help you to no longer be overwhelmed by negative energies and prevent others from “vampirizing” your energy. It is because labradorite is a good protection against the negative energies of people and / or situations, that many alternative therapists often have a large piece of labradorite in their consulting room. 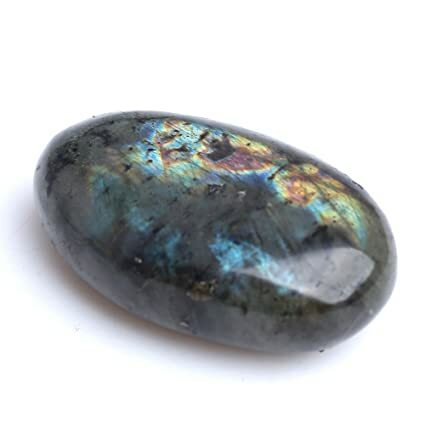 Often, labradorite is placed between the client and the therapist but it is also valid for other professions where we receive directly from people, in direct contact in a local (post office, hospital counter, bank, cabinet insurance, etc …). By allowing us to preserve ourselves from mental pollution, labradorite promotes the clarity of mental thought. It is the ideal stone for people who tend to feel a mental fog. It is also a very useful stone for artists. It stimulates inspiration and provides access to new levels of awareness, which will help you make the best decisions in your life. Labradorite is used to balance disruptions related to the digestive system and hormonal disorders. It is also effective in stimulating blood circulation and calming inflammation. 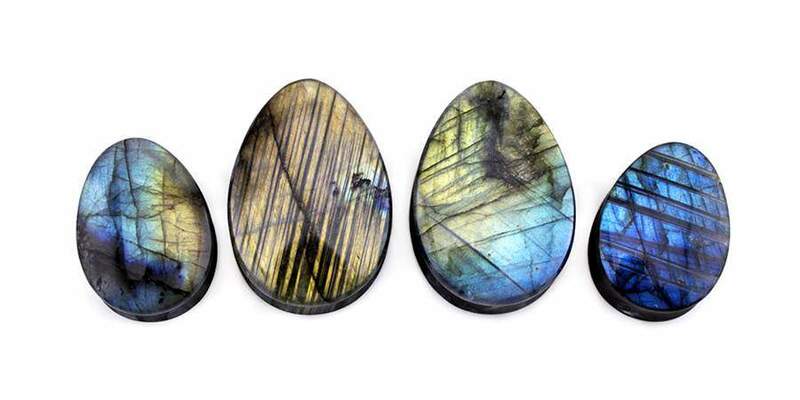 By the energy it gives off, labradorite can bring tone to your body. If you suffer from chronic fatigue, wear a labradorite on you necklace, bracelet or even pebble in your pocket. It will help you overcome your tiredness and recover better at night. You can also place a labradorite pebble on your nightstand. Labradorite is very effective in reducing headaches. To do this, you should simply gently rub it on the painful area, while refreshing the stone in a bowl of water to keep it cool. Its action on the blood system will soothe you. The labradorite needs to be cleaned and reloaded regularly so that it can recover its original properties. To clean and / or purify it, simply place it a few hours in a container of water or spend a few seconds in moving water (tap or stream) and then expose it one after Midday to the rays of the sun. The smaller the stone is and the more often you wear it or use it, the more often it will need to be purified and refilled.